I have seen adiantum venustum described as both deciduous and evergreen by UK selling sites. Does anyone with one know how it behaves? I am looking for an evergreen. It will be in a shady, sheltered spot, in a window box next to wall. I've only ever grown the houseplant form and found then fussy about humidity, even in a bathroom. It's a beautiful plant, but totally unforgiving! I love them, but I've given up. B3, have you had the outdoor ones? I have had several indoor types and they are indeed divas. So beautiful, though. My Maidenhair fern grows very quickly outdoors in a free-draining loam ; sun or shade , wet or dry doesn't appear to bother it . 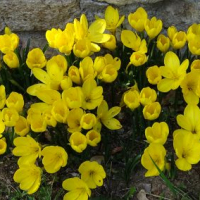 I've given numerous large clumps away to people over the years ; never found it to be a problem ! ooo we have two B3s on one thread. Can I shout "battleships"? Whoh!! !......do I detect a 'debate' about to evolve here ?? We've discussed this. I'm his evil twin. I didn't know there were outdoor ones. I'll definitely look out for them once the drought' s over. Amusing this !.....when evil meets evil ; could potentially get interesting ! I just found out that there were outdoor ones. I love the frilly fronds. I'll give one a go. 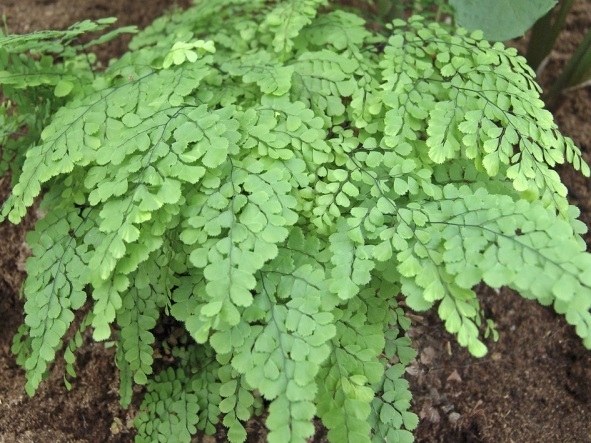 I also grow the Northern Maidenhair Fern (Adiantum pedatum) ; slower but very hardy outdoors .